As far as performance goes, the best tablet on the market this winter might actually be the Kindle Fire HDX 8.9. It’s the first Android tablet to have the new Qualcomm 2.5 GHz Snapdragon 805 processor. So it’s way faster than the last model by about 70 percent, and it’s display is even sharper than Apple’s Retina display iPads. It has a new Dynamic Light Control technology that is really useful when reading. It uses an ambient light sensor to automatically adjust the color temperature and make the screen look as much like a printed page as possible. The body is made out of magnesium. Because of this, it is significantly lighter than even the iPad Air. Weighing only 13.2 ounces, traveling with it and carrying it will not even be an issue. Another cool thing about the HDX 8.9 is the fact that it has Dolby Atmos support. When you listen with headphones, it gives a really crazy effect like you’re listening to 3D sound. Any movie that was filmed this way will be incredible to watch on this tablet with a nice set of headphones. Like the Fire phone, the HDX 8.9 also has Firefly. It can recognize pretty much anything you can take a picture of, tell you about it, and tell you where to get it. It can even do that with TV shows or movies if you’re not sure what you are watching and want to find out. It can also translate foreign languages for you. To go along with all of that, it has a nice 8 megapixel camera so that you can scan things with precision. As far as the operating system goes, the HDX 8.9 is running the new Fire OS 4 “Sangria”. It has a few new features that could be quite useful like a Family Library feature. This lets you share books, music, apps and things like that with your entire household. With all of the other tablets on the market, it kind of pains me to say that this one might end up being the best overall value. And speaking of value, a tablet rental from www.rentourtablets.com is your best bet for any short or long term rental, and they keep the latest equipment in stock! For the most part I have always thought that Amazon products were very gimmicky and just another way for the company to trick you into buying more things from their website. But, the Kindle Fire HDX 8.9 is actually looking like a pretty solid product. 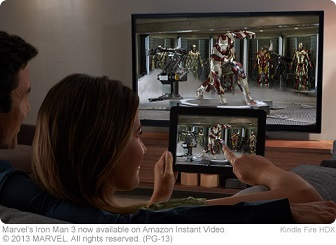 The updated version of the tablet has a lot more to offer performance wise, or so says Amazon. The tablet still has the same dimensions as its original predecessor. It’s still 8.9 inches and 13.2 ounces, and still smaller and lighter than the iPad Air that many people still swear by. The updated tablet will be housing a brand new Qualcomm quad core Snapdragon 805 processor and a sleek, new Arduino 450 GPU. This will give much better all around performance and even be able to offer “console-quality gaming”, or so says Amazon. The display on the new model is even better than the last time around and still better than the Air as well. The new model will be sporting a 2560×1600 pixel resolution display, and the tablet’s ppi is set at 339. If you’re unfamiliar with that term, it means “pixels per inch”. The Air is only at 2048×1536 pixel resolution and running at 264 ppi. Needless to say, the Kindle Fire beats it in the display department, hands down. If you have new technology, you can’t have it without some new software right? Don’t worry, cause Amazon has you covered. The new tablet is working with Android KitKat, but that operating system will eventually move to the mobile OS. This is where the upgrade comes into play. The Fire OS 4.0 will be seeing a host of new features with its update. Tablet users will now be able to access the cloud-based Firefly service that was first released on the Fire Phone. The Firefly service will be able to work with the tablet’s camera in order to identify a large number of items, like movies and TV shows. The tablet will later be able to use a new app called Translation. By opening Firefly, and as long as the internet connection permits, you will be able to point the camera at any text that appears in a different language, and it will translate it right there on the spot. The new software definitely has some sweet little perks to it. That’s right. Following suit with what seems to be the big trend now, the new tablet will also offer a separate additional keyboard. Obviously it won’t come with the new tablet, but it will only be a $60 investment should you want to go that route. The keyboard is only 7 ounces and 4.8 mm thick. The keyboard, however isn’t attachable. It’s actually ran through Bluetooth which could be both good and bad depending on how you look at it. Unless you plan on being extra productive or plan on using it for gaming, there shouldn’t be any real need for the keyboard however. That being said, the trend is big enough for Amazon to take notice and add it to their tablets. Amazon knows that they’re not exactly on the top of the tablet game, but they’re doing a good job making a nice selection of tablets to cover all of their bases. Even if you like Apple, you can’t help but take notice of Amazon’s efforts. Amazon has always been huge in the retail world, but lately it seems like they are dead set on becoming one of the biggest players in the tech world. They have really changed up the entire game with the release of the first Kindle e-reader, the Kindle Fire, and a whole list of other products. There has been no official information about a release date, but much like other major players, Amazon generally keeps a pretty strict schedule when it comes to releasing new products. 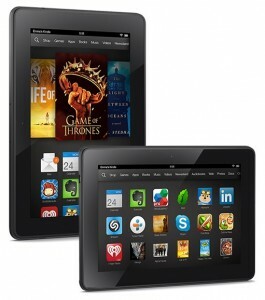 The Kindle Fire HDX was released in November, and the Kindle Fire HD came out almost exactly a year before that. This means, that we can surely expect to see a new tablet from Amazon some time around October or November of this year. It is a long way away, but we should start hearing some more official news in the not-so-distant future. The price point should be pretty easy to figure out. The main selling point for the Kindle that has always given Amazon a lot of leverage in the market is the fact that they are able to offer a tablet with great specs for a price that isn’t going to break the bank. The 7 inch version of the Kindle Fire HDX was $229, and the 8.9 inch model was $379. Amazon isn’t going to give up their biggest selling point, so you can count on a similar price on the new tablet, assuming they release it in the same sizes and they want to stay competitive. It is almost certain that the new Kindle will be released in the same sizes, as those sizes are extremely popular. But it wouldn’t be a huge surprise if they released a different size to go along with them. They have the small tablet market covered, and the larger tablet market covered. It would probably be logical to release something somewhere in the middle. As for display resolution, there will probably be zero difference. Amazon already has a full HD display on their current tablets, so it is hard to upgrade from there unless they were going for a 4K display. 4K wouldn’t make much sense though, considering how much more the tablets would have to cost in order to make that happen. A report from 2013 claims that Amazon had ordered a large shipment of MediaTek MT8135 quad-core processors for delivery this year. 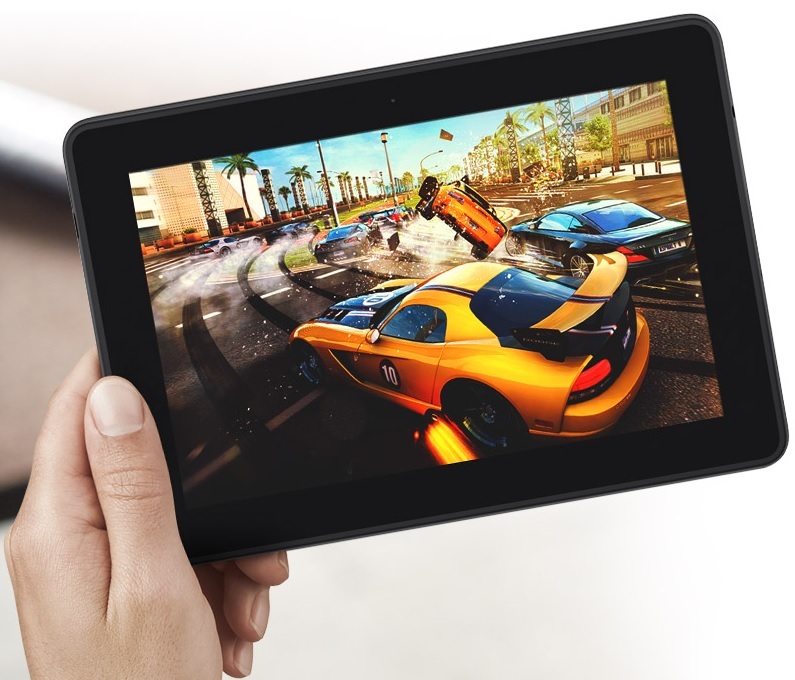 The Kindle Fire HDX uses a Snapdragon 800 quad-core processor. So, if these reports are true, the new Kindle could be lacking slightly in power from it’s previous version, but the MediaTek processors do cost less. The lower cost could mean that Amazon might pass on the savings to it’s customers, and that is good for everyone.